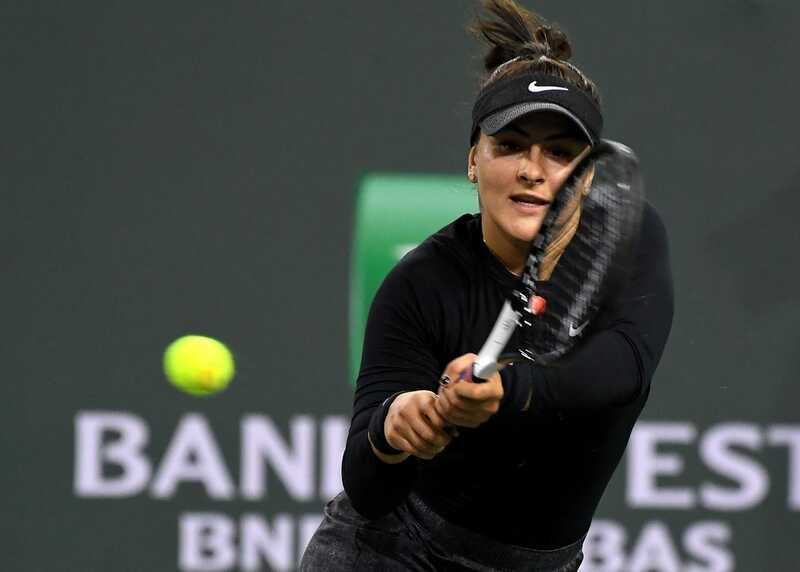 Canadian teen sensation Bianca Andreescu toppled sixth-seeded Elina Svitolina of Ukraine 6-3, 2-6, 6-4 on Friday to reach the biggest final of her WTA career at the BNP Paribas Open in Indian Wells, Calif. The 18-year-old Andreescu, ranked 60th in the world after finishing 2018 at 178, is the first wild card to reach the final at Indian Wells. The win also improves her record to 2-0 against top-10 players, which includes beating then-world No. 3 Caroline Wozniacki in Auckland, New Zealand, earlier this year. "I really need a moment to soak this all in. This is just so incredible," an emotional Andreescu told the crowd following the win. "This past week has been a dream come true." Andreescu was clutch in her first career meeting against Svitolina, saving nine of the 10 break points against her in the final set and breaking her opponent twice in three chances. "Today I just believed in myself," Andreescu said. "Playing against these top players, I've watched them play so many times on TV, so it's really incredible to play against them and win. ... I have nothing to lose, so like I did this whole week and the last couple of months -- I'm just going to enjoy myself and go for it." Andreescu will face eighth-seeded Angelique Kerber, the reigning Wimbledon champion from Germany, who defeated Switzerland's Belinda Bencic, the 23rd seed, 6-4, 6-2 in Friday's second semifinal. "It's always tough to play against Belinda," said Kerber courtside following the win, after advancing to her first final at Indian Wells. "She's played so great in the last few weeks, so I was just trying to focus only on my side of the court. I was trying to play conservative and just going for it when I had the chance." From 4-2 down, Kerber roared back to sweep last four games of the opening set. The 22-year-old Swiss committed 27 unforced errors in the match to just 14 winners, and Kerber converted on seven of nine break points. "I'm really happy to be here for the first time in the finals. It means a lot," said the 31-year-old Kerber. "This is one of my favorite tournaments. ... I'm looking forward to a really tough battle. [Andreescu is] here as a wild card, she beat a lot of good players and she has nothing to lose. She enjoys her tennis, she's a great player, and I know I have to play my best tennis in the final. I will try to enjoy it as well."